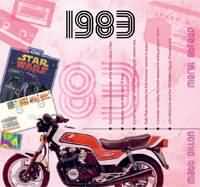 The Classic Years 1983 CD. << Back The Classic Years 1983 CD. 1983. The CDCard includes a 20-track compact disc that features an all new music selection with many of the top artists and biggest hits of the Year.